I am posting to this blog again. The Supreme Court declared gene patents illegal. I can stop feeling guilty for owning three copies of Odds On. All of my copies were obtained through eBay, but in the case of two of them, the sellers had no idea what they had—one cost $19.95, the other cost $9.99. Can’t imagine the sellers had any idea they were selling Michael Crichton’s very first novel. The Crichton website has some links to reviews of the John Lange novels. I’ll write more about the books soon. While I've read all the John Lange novels several times, this year I’d like to read them in the order they were published. 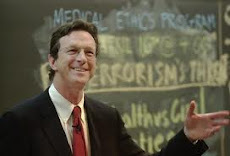 What will that tell me about Michael Crichton’s evolution as a writer? We shall see.